Leaky or overflowing glutters can be a sign that it's time to replace them. One of the best possible solutions is a new aluminum gutter system. Although vinyl is also a good option, aluminum materials tend to last longer in between necessary repairs and replacements. This can help to save you money and can better protection for your home and landscape. Matching the colors of your new gutter system with the old one can be tricky to accomplish. There is no doubt that you can purchase aluminum gutters from Home Depot, but will the colors match precisely? You can also find a decent selection of aluminum guttters at Lowes, including aluminum half round gutters and others, but again, they could be a shade or so off in the color. Even small variations can be noticeable. Another important fact about aluminum gutters is that not all brands are of equal quality. Alcoa aluminum gutters are a high quality choice because of the materials used to make them. Once the best brand and color is selected, it's vital to have aluminum gutter installation done right the first time. This includes making certain that the soffits and fascia which lie beneath the guttering system are in excellent condition. If they are not, they must either be repaired or replaced before the guttering system can be installed. 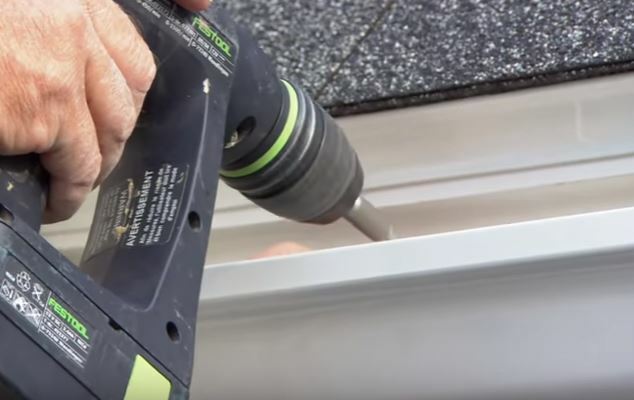 These parts of the system are vital for providing support for the entire gutter system and if they are not in good enough condition, the gutters can become more easily damaged or loosen and begin to sag. Where to get expert aluminum gutter installation help. Residents of Hamilton, Ohio who are in need of aluminum gutter installation can turn to the professionals at Hamilton Gutter Pros for expert help. We specialize in gutter installation, cleaning, maintenance and repair. We use high quality products that are built to last for extended periods of time with the recommended maintenance. Difficult job? No problem. At Hamilton Gutter Pros, we have the knowledge and experience to handle unique jobs that require planning and customization. Some gutter systems currently in place have a poor design that can make the drainage less efficient than what is needed. We specialize in getting the proper flow of runoff moving in the right direction. If drainage is an issue we also know how to problem solve to extend any waterflow away from your home and landscape to prevent damage from occurring.